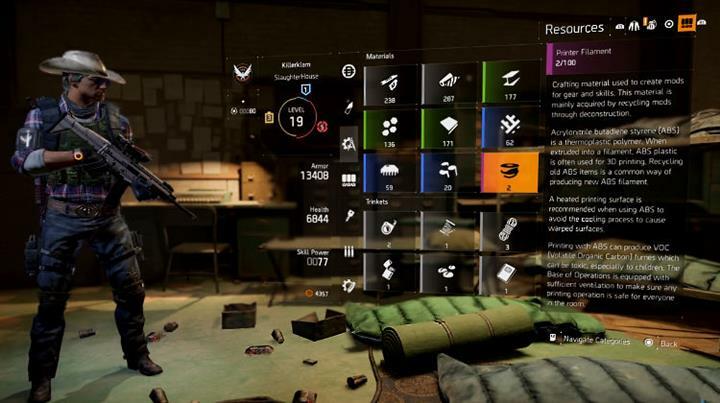 Players can get their hands on a number of great outfits, skins and other rewards through the Reward Claims vendor in The Division. Whether you entered free codes through the Ubisoft website, chose to pre-order or went for the full Season Pass or Gold Edition, you'll have a nice collection of rewards waiting for you in game. The BIG problem is that the Rewards Claim vendor isn't dishing out those rewards on a consistent basis at the moment. Some players are getting half their rewards whilst others can't see anything. In this post I'll attempt to explain how rewards work, where to get them and discuss why things might not be working for you. What rewards can you get? 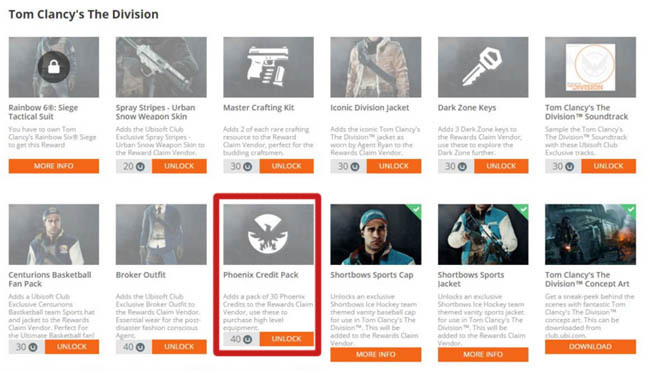 Ubisoft have dished out a free set of skins called the Agent Origins pack. It contains four distinct outfits for: firefighter, paramedic, hunter and police officer. These are not just cosmetic packs either because each one comes with a different weapon and backpack. 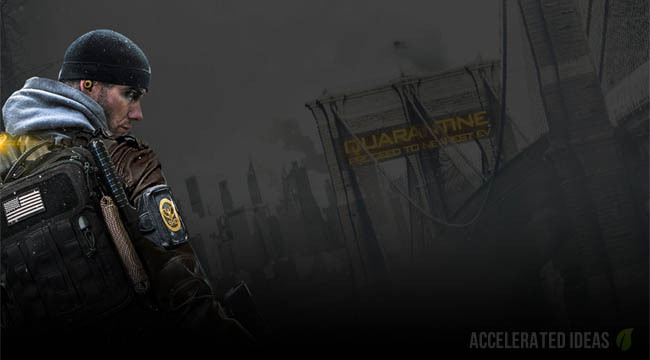 Pre-ordering the game will have earned you the Hazmat gear set. The pre-order code will be distributed by the retailer either via email or together with the game for physical copies. Those who bought the Gold Edition of the game will get the full Season Pass included and also early access to the National Guard Set and Sawn-off shotgun. When DLC is released you'll get access to new outfits and other DLC rewards as the year progresses. If you regularly play Ubisoft games and already have a UPlay account then UPlay points will have been silently racking up under your profile. You can exchange these points for exclusive outfits, cosmetic items and other rare items such as Phoenix Credits or Rare Resources. These rewards are purchasable through the Ubisoft Store (shop) online and will immediately appear in the Rewards Claim vendor list. See YouTube Walkthrough video. How to claim you code? For PC players you must enter your CODE on the Ubisoft website whilst logged into your UPlay account. The rewards will be associated with your online account (Steam). For console players, you must enter your codes through the PS Store or XBox Store using the redeem code feature. Then wait for the download to complete, restart the game and pay a visit to the Reward Claims vendor to pick up the items. New vanity/cosmetic items can be equipped through the cosmetic menu in game. Where is the Claims Reward vendor? The Rewards Claim vendor is at the Base of Operations (BoO) which is located in the Manhattan post office, NOT in the Brooklyn tutorial area. You won't unlock this area until about level 4, after you've completed the first 45 mins or so (tutorial/prologue area). The vendor is located at the end of the hallway, directly in front of the door after you first enter the base (do not turn left or right, or go upstairs). Many players have reported that the Claims Reward vendor is missing items, with some people claiming some rewards but not others, whilst others can see absolutely nothing. Now, I can tell you that the rewards vendor was working just before the game went live worldwide but it seems to have gone downhill since. There are also reports that the UPlay website is down along with the Ubisoft forums so that's quite an issue. If the system which controls the authorized distribution of rewards is being affected then that explains why some players can see things and others can't. The servers are responding but not in a consistent manner. There are two scenarios really: either you have been able to claim some rewards or you haven't claimed any. If you fall into the first camp that had previously claimed rewards then you're obviously doing things right and the servers are the problem here. You'll have to wait it out until Ubisoft get things back to normal again, sorry. Wait for the downloads to complete (if DLC and not UPlay) before starting the game. For Agent Origins, enter the code on the Ubisoft website whilst logged into UPlay then copy the next CODE which is the real code (should look more unique) and activate that on console. Once codes have been activated and DLC downloaded, then go in-game to claim your rewards from the vendor.